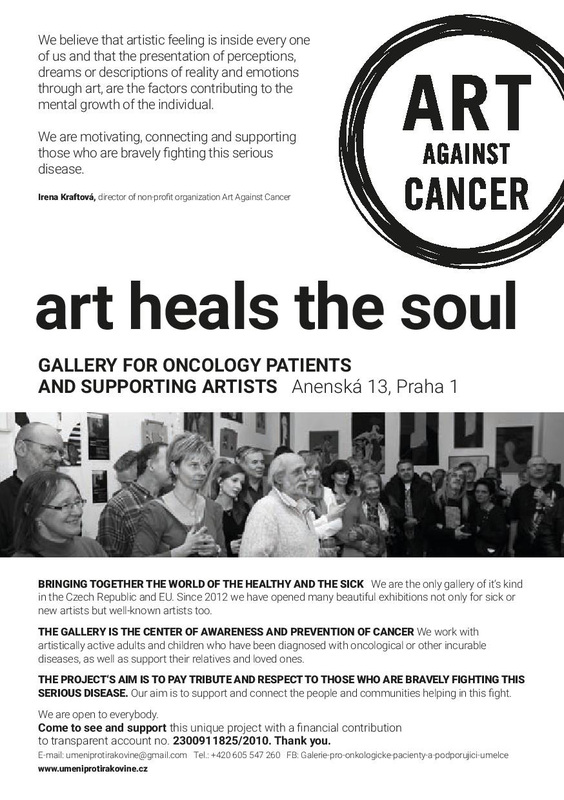 „I have always believed that art heals the soul, and this thought proved to be true after I founded the gallery.“ These are the words of Irena Kraftova, the chairman of “Art Against Cancer” and the author of the idea and the realization of a unique Prague gallery, which is the only gallery in the world with such a specialization. 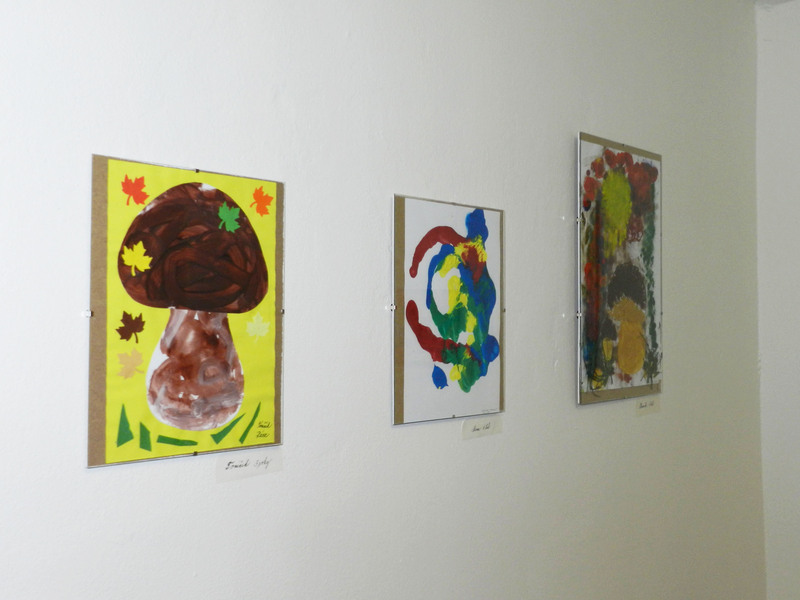 Her project began in 2012 with pediatric patients from Prague and Brno in a former gallery space in Dejvice. It hosted dozens of motivating exhibitions of adult authors mostly, e.g. women with breast cancer. And now, in a new barrier free space, she turned her attention back to children again. Oncological disease is a very complicated situation for the child and at the same time it is an acid test for the whole family. Any activity the child pursues is therefore desirable and important. „The basic concept (which is unfortunately a little bit underestimated by modern medicine) is, that a human being comprises not only of a body, but also of a soul. 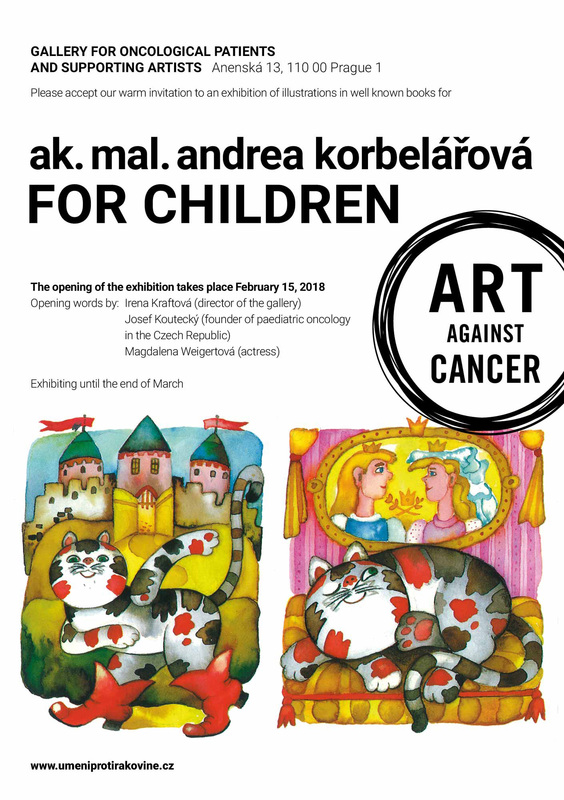 And any activity of these kids is very important,“ said Prof. Josef Koutecký (founder of paediatric oncology in the Czech Republic ) at the opening of the first exhibition „The Brave“. 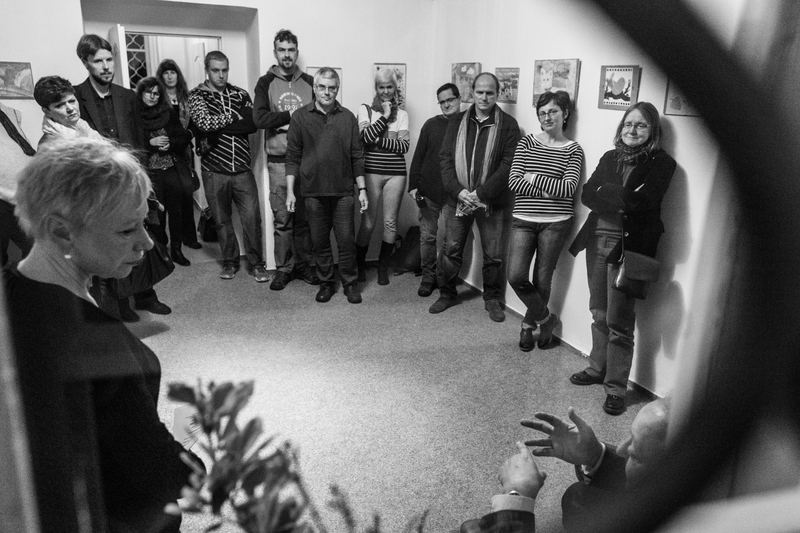 The exhibition was sponsored also by other experts who came to the opening and delivered their speeches, together with Mrs. Irena Kraftova. And the gallery absolutely fulfils this motto. 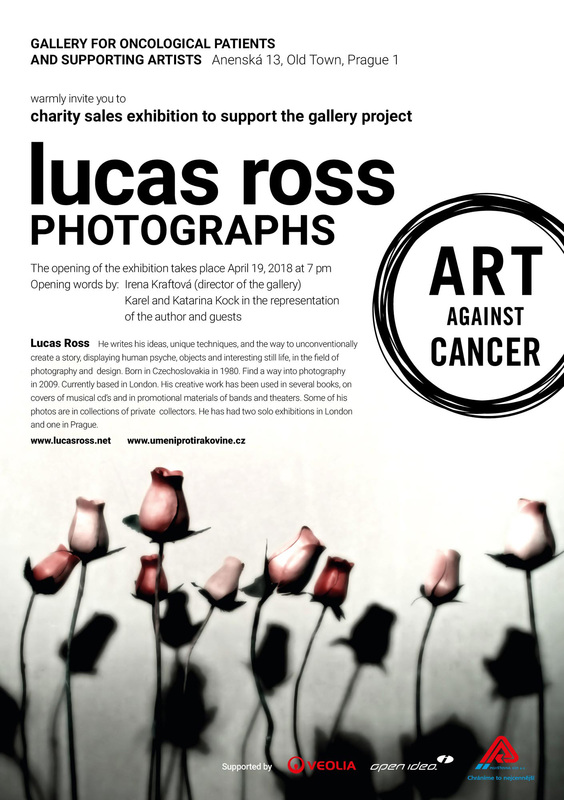 „I am glad that the gallery exists and I will keep my fingers crossed because I hope it will support as many patients as it is possible. 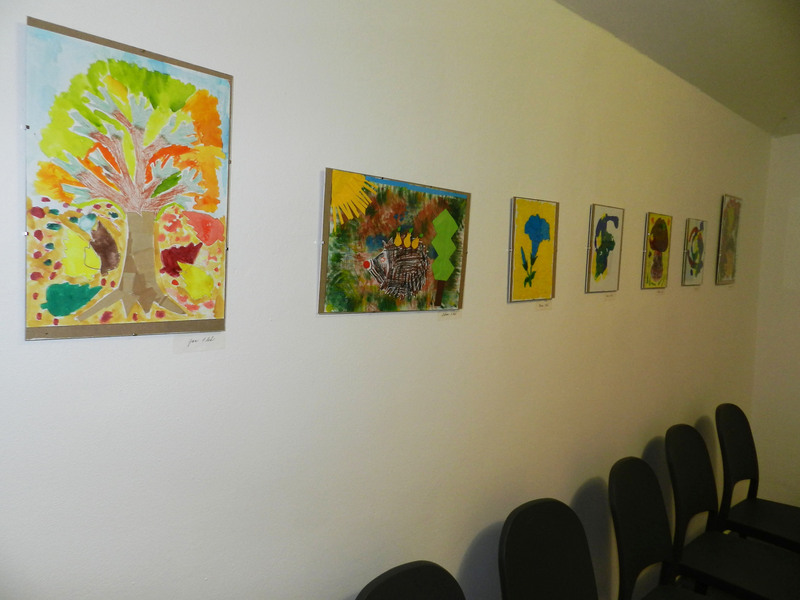 I think that not only children need such a support, adult patients need it too,“ said O. Lomecky. Some time ago Czech doctors could successfully heal only three percent of oncological paediatric patients. Today up to eighty percent of pediatric patients overcome this disease. And painting and drawing is a big impulse for their successful curing. 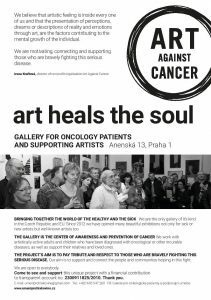 The gallery wants to be a centre for enlightenment and prevention in the fight against cancer and wants to support artistic activities of oncological and other seriously ill patients. 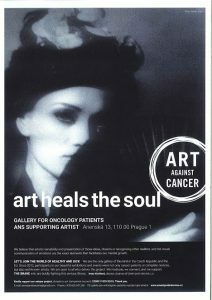 The gallery wants to promote communication between the world of „healthy“ and „ill“ and between respected artists and the ones who are just beginners in this field. This gallery is a clear proof that besides specialized medical care oncological patients need also faith that they will overcome the illness. 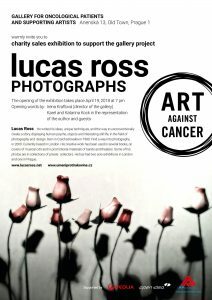 Thank you so much for your possible support and help*.